June 7, 2014 5:pm Legendary Brazilian percussionist/drummer Airto Moreira fuses the worlds of Afro-Brazilian and Samba and Bossa Nova with jazz, Fusion, and African, Latin, and hip-hop influences. 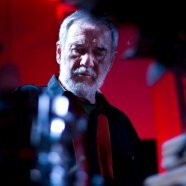 Airto, multiple winner of Down Beat’s reader and critic’s poll, is known for his celebrated work with Miles Davis, Joe Zawinul, Cannonball Adderley, Dizzy Gillespie, Carlos Santana, and George Duke. He and Los Angeles–based Eyedentity have performed at leading clubs and festivals around the world playing to fans new and old. 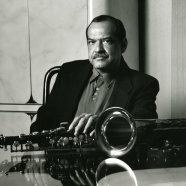 All about Jazz writes of Ernie Watts: “He is one of the greatest tenor saxophonists, at the top of his game.” Two-time Grammy Award winner Watts is one of the most versatile and prolific saxophone players working today. A 50-year veteran of the saxophone, Watts picked up the instrument at age 16. Since then, he has been playing professionally, initially while still attending school. Watts has been featured on over 500 recordings by artists ranging from Cannonball Adderley to Frank Zappa, always exhibiting his unforgettable trademark sound. Watts Concert kicks off at 6:PM for two lively sets of Jazz to launch your weekend .